After upgrade from the latest Ubuntu 16.04 LTS to Ubuntu 18.04.1 LTS, the server refused to reboot. I had to use IPMI to connect to the otherwise unresponsive server and reboot it forcefully. 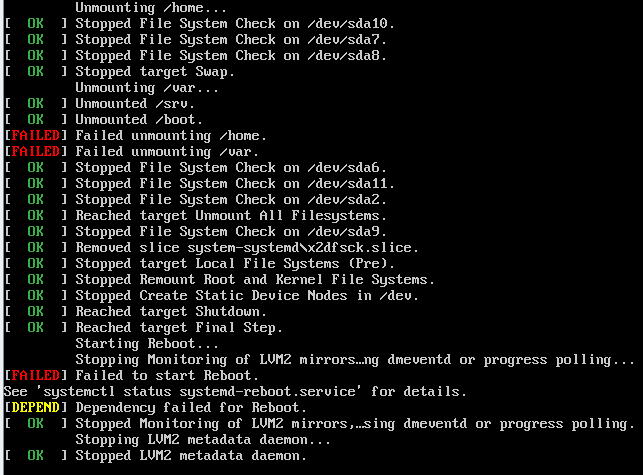 I probably should have used sync; reboot -f instead of just reboot, but this was the very first time that the system failed to reboot due to a “dependency issue”.